Could it finally be time to invest in solar for your home, farm, or business? 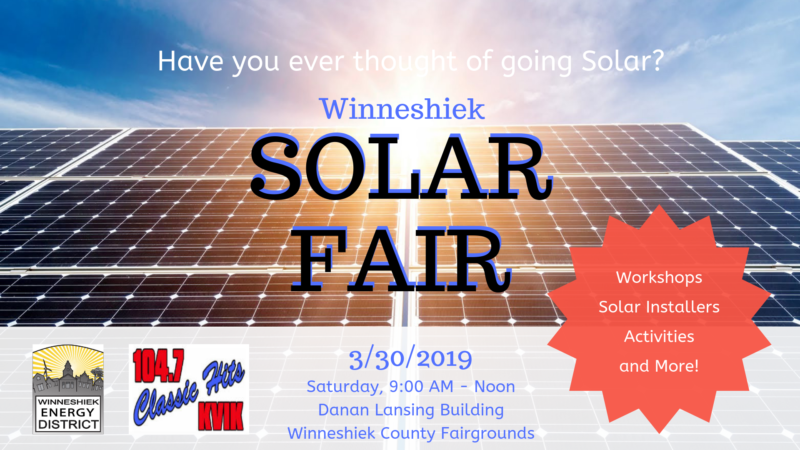 The Winneshiek Energy District, KVIK/KNEI, and local partners bring you the Winneshiek Solar Fair. 2019 is the perfect storm of low solar costs and the last year for high state and high federal and state tax credits (which start decreasing after this year). 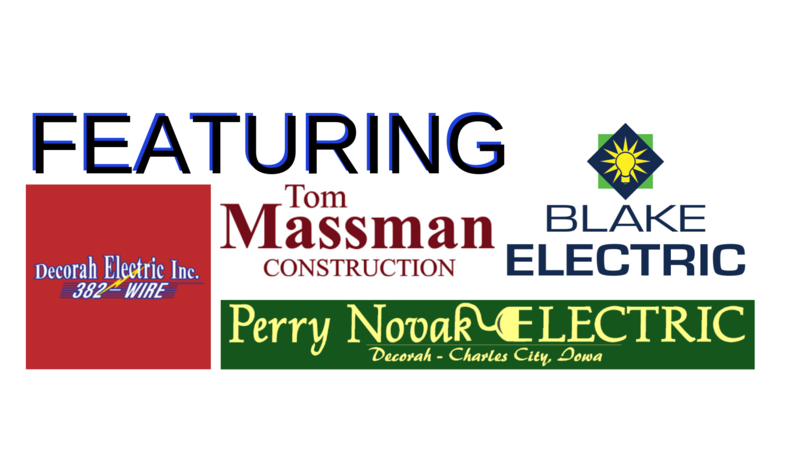 The Winneshiek Solar Fair is your place to learn about solar financing, tax credits, area installers, and more. Talk to local solar contractors, attend workshops, demonstrations and more.